I'm mentioning this story in honor of my daughter, who loves princesses. However, being American, and only 4 years old, she has never heard of Princess Anne. 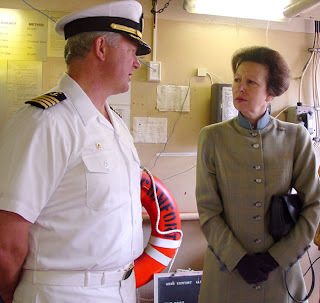 Why do I get to mention Princess Anne on this blog you may ask (if you didn't read the title of the post, that is). Because, according to the Southern Daily Echo, HRH (that's Brit-speak for Her Royal Highness) attended the Southampton Boat Show today. And while HRH was at the show, she christened the new race boat of Southampton round-the-world sailor Mikle Golding. The new boat's name? I googled this word to see what the heck it meant and all I could come up with was the corporate name of a green detergent company (green as in environmentally friendly). Turns out, it's true. There is a relationship. Not a bad name if you had to take the name of a sponsor in order to get their money. I could think of worse. Imagine if SPAM sponsored a yacht?